Yes, there was air leakage and piston rings were replaced. Also tappets were adjusted as they were jammed due to no oil reaching there. Thanks. now did you stop using the ZIC A+ or still using the same ? I haven't used ZIC on my car. I was using Shell HX-7 and after the repair I am using GTX 20W-50 as per my mechanic recommendation. Thanks. 20w-50 is high viscose oil. If you have replaced the original rings and these are perfectly installed, then no need to feed the high viscos oil. 5w-30 seems more promising option. And make sure its fan is at auto mode. I am still using 5w-20 till now no problems. Ok guys problem problem. I got the oil changed a few days before. Drove 1200km and checked the dip stick but the oil was all spilled on it. Took it the oil store and according to him the oil is on low mark. He said that your engine is week. What???? Seriously??? He said that you will felt bad but this is the reality. I kept on insisting him that you have poured more oil and for that reason the dip stick is not showing accurate oil level. Out of aggression i pulled the car out and stopped over to a near mechanic. He checked and said that engine is in perfect state. Your oil is not good. So now what to do. Im in extreme tension. Need to get the issue resolved. So how to check for the week engine. Engine is not giving any blow but however its blow pipe is in black state. No one here to address the issue??? change oil from a reputable place......fake oils do so. Check your oil in morning before starting engine so the accurate level you can get when engine is not running and all oil make it to bottom overnight or at least leave your car for 2 - 3 hours to see correct oil level. As i said in my previous post, it seems the same case i witnessed in my hijet and it was tappet issue. Check if your car jerks a little when you drive right after starting for the first time in morning, you will feel like car is braking a little while you start driving slowly. My suggestion will be to go to a good mechanic and ask him to check your car's engine compression with gauge and check for the values, good compressions will be between 150 - 200psi also check your car's manual or google for your engine default compression values. Thanks for the reply sir. Yes when i start driving the car in the morning it doesn't give any jerk but it does try to slow down itself when i slightly release the throttle. Do i need to get the tappet adjusted??? From where i can get the compression test as my mechanic cant do it. 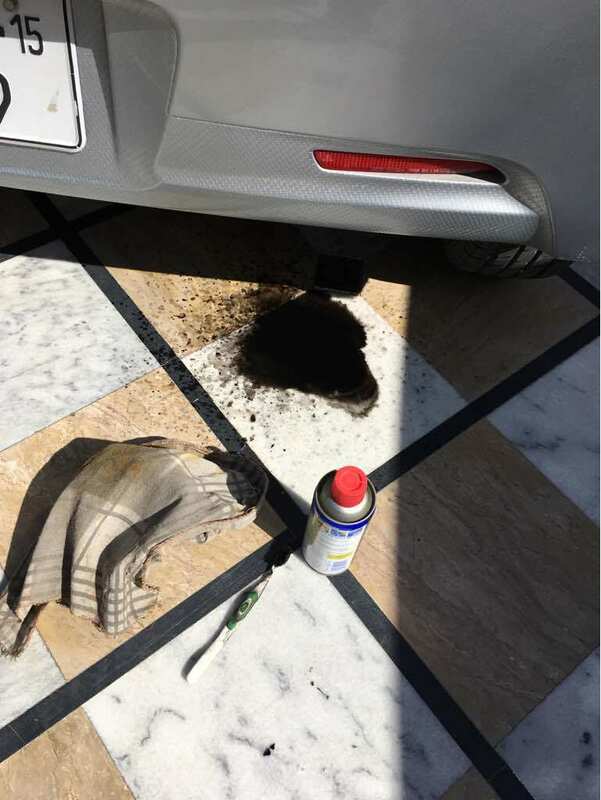 it looks like you attempted to clean the exhaust pipe with a tooth brush & WD-40 what is the result of such cleaning ? Guys updates.. Today my brother took the car to my mechanic. He opened up the throttle body and plugs. To our surprise, all the pipes including the throttle body were blackish in form. All were full of carbon and the exhaust pipe tip was also converted to blackish sooth. According to my mechanic its turbo is weak and the possible solution is to replace the valve seals along with some tappets adjustment. So what to do now. Im thinking to let her go. Your suggestions are highly awaited. Today had the compression test done. It comes out to be 150psi for cylinder 1, 148 for the second one and 135 for the last one. So what should i predict from these reading?? ?